There are literally dozens of lawn and garden tractors which are available with attach sweep cultivator, rotary tiller, 12-inch single-row riitger, single-row planter, fertilizer hopper, transplanter, and tilt-top cargo trailer. Weight: 905 |xnmds. 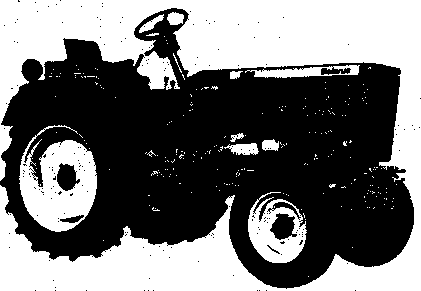 Another air-cooled, four-stroke diesel tractor similar in size to the Ford 1600 is the Belarus 250. It has a standard three-point hitch with drawbar, rear PTO and side-mounted power shaft, eight forward and six reverse speeds. A full line of attachments and larger units is available. Belarus Equipment of Canada, Ltd. 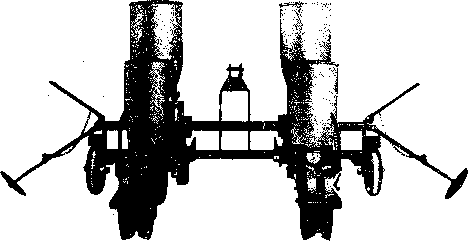 The Belarus 250 Belarus Machinery. Inc.
tact a few of these sources. You'll be amazed at the attachments available. Outdoor Power Equipment Div. 215$. Park St.
Tractor Si?pply Co. 7910 L St.
and yoisr local hardware store.